Become a laborer of the harvest for Our Lord, by organizing a “Holy Hour” of prayer at your Parish or Adoration Chapel. The Saint John Paul II Eucharistic Adoration Association will help you get started. “We must pray for our priests and young people,” said Dr. Stefania Chase, past parish chapel coordinator for PJPIIEA, who originated the new project. Thursday has been earmarked as the ideal day of the week for conducting the prayer hour. 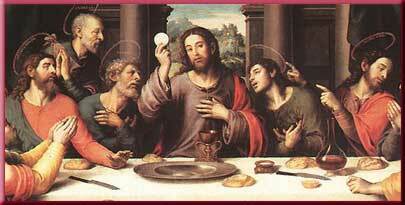 It coincides with Holy Thursday and the institution of the priesthood at the Last Supper. Grace through group prayer puts a great resource within our midst, as legions of faithful come to pray in the Real Presence of Our Lord at the many sites offering Eucharistic Adoration throughout the Archdiocese of Chicago. Inspiration from the Holy Spirit guides us to help channel some of this prayerful energy to support our ordained clergy and seminarians, as well as amplifying the call to vocations. Materials to help organize your group and promote the ministry are available. The Association also has pamphlets with a suggested prayer regimen for the Holy Hour. To arrange our help establishing this program at your parish, call (708)728-0840, or leave a note via the “Contact us” link above. We will be in touch. "Archbishop Harry Flynn will ordain 15 men to the priesthood on May 28. This will be the largest number of men to be ordained in the Archdiocese of St. Paul and Minneapolis since the 1960s ... I have been asked the question, "Why 15?" countless times. There are trends and easily observable factors that contribute to this good news. First, the people in the Archdiocese of St. Paul and Minneapolis pray for vocations. The vocations prayer endorsed, encouraged and authored by Archbishop Flynn many years ago is prayed regularly at many parishes throughout the archdiocese. I am pleased to see it affixed to hymnals or in pews at many parishes that I visit. It often is used as a prayer during the general intercessions or prayed right before or after Mass. Prayer is never in vain. God truly answers prayers, and our priestly vocation picture is evidence of that. Second, the increase in the number of perpetual eucharistic adoration chapels in the archdiocese has coincided with an increase in the number of seminarians. Since the mid 1990s, the number of chapels has nearly doubled and the number of seminarians has increased by 70 percent. It is not a coincidence. Where Jesus' abiding presence in the Eucharist is appreciated and adored by his people, the gift of the priesthood from which it comes is understood and appreciated, and vocations flow from that." Taken from an article written by Father Thomas Wilson, Vocation Director of the St. Paul Minneapolis Diocese. Homily by Bishop Goedert offers great encouragement to the Laity to continue to pray for priests and vocations. Click on your language preference to open.